Starting from the peaceful little village of Aldeia da Serra in the dreamy Serra da Ossa, this appealing circular, full-day drive will take you through the most beautiful countryside of vineyards, cork forests and olive groves leading to the region’s treasures from the stunning “marble” towns of Estremoz, Borba and Vila Vicosa to the colourful potteries at Sao Pedro do Corval and Redondo, taking in the the wineries “adegas” in Reguengos along the way as well as the ancient ancient hilltop settlement of Monsaraz and its megaliths nearby. Discover dazzling white palaces, imposing churches, convents and castles, elegant plazas with orange trees, gleaming marble streets, fascinating museums and delicious local gastronomy and wines at the many excellent, family run restaurants. 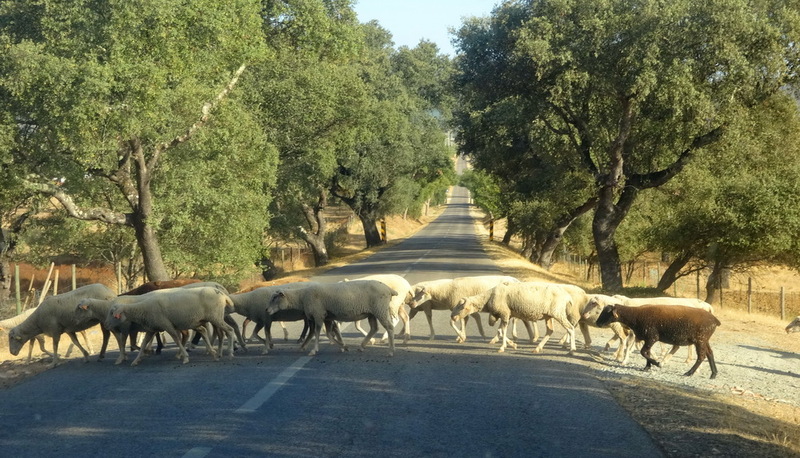 Start your trip in Estremoz, an authentic, provincial “marble” town with imposing C13th hilltop castle, gleaming white Royal Palace, gracious squares, plenty of arts and crafts and a fantastic Saturday market. Then head south to Borba another “marble” town who’s simplicity is endearing in itself as are its antique shops and cabinetmakers not to mention its great red wines and wonderful restaurants serving regional food. From there head on to Vila Viçosa with ts stunning C16th marble palace “Paco Ducal” built by the Dukes of Braganca and its fascinating castle with a beautifully tiled C15th church within its walls – home to Portugal’s patron saint “Nossa Senhora Da Conceicao”. Sao Pedro do Corval is your next stop – just a small village, but one of Portugal’s largest pottery centres. 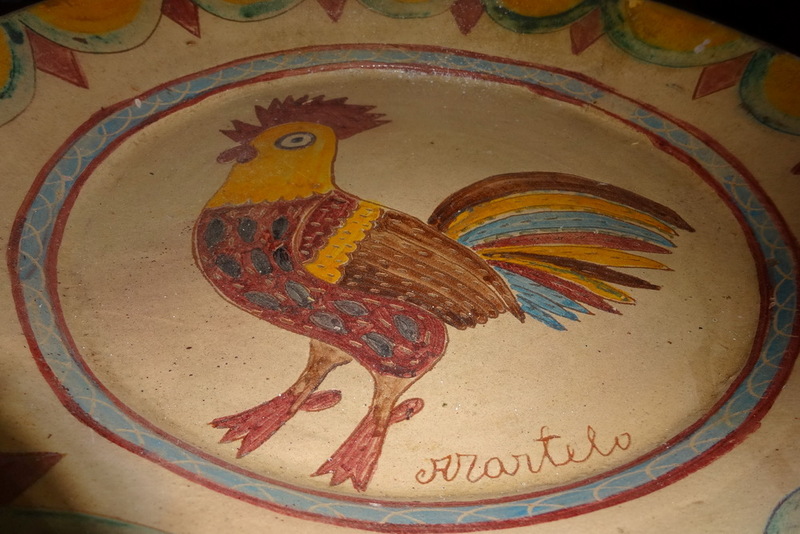 See the artisans at work and be tempted into buying their colourful ware before taking a detour to Monsaraz an ancient, walled, hilltop village with spectacular views of the Alqueva reservoir. 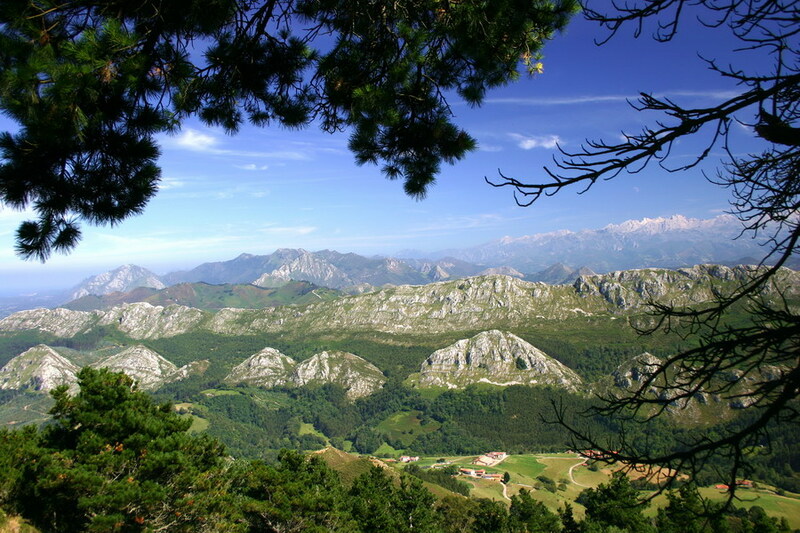 Explore the neolithic megaliths “Cromeleque do Xeres” and “Menhir de Bulhoa” nearby. 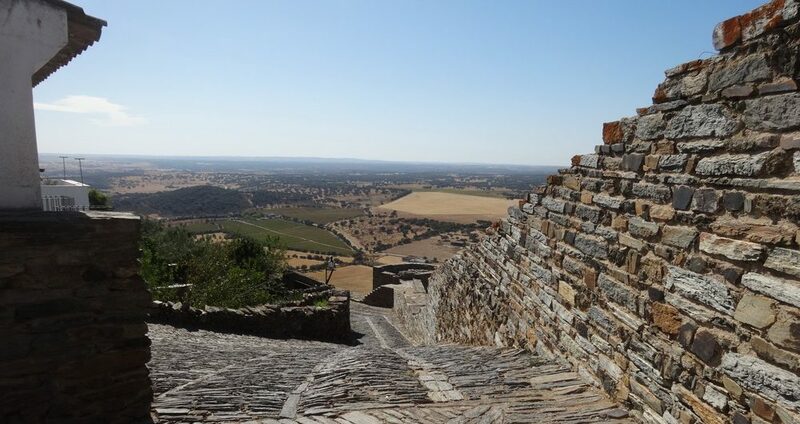 Head back to Corval and on into wine country stopping at Reguengos de Monsaraz– for its numerous wineries “adegas” in and near the town. One of them “Herdade do Esporao” with an gourmet restaurant should not be missed. 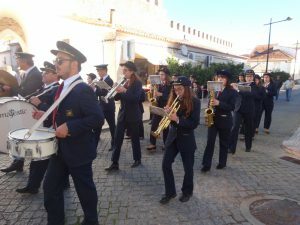 On the way home be sure to break the trip in Redondo, a simple, friendly town with a 500 year old pottery tradition, superb wineries and a colourful biennial Ruas Floridas festival when the streets are decorated with paper flowers. 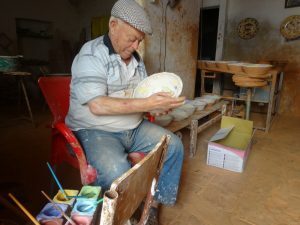 Visit the pottery museum and if you are lucky seek out (near the castle) Joao Mertola, now in his eighties, still skilfully hand painting his pots. 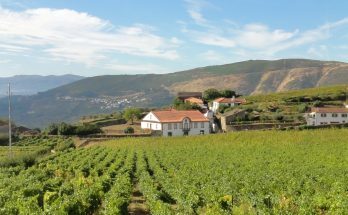 The Alentejo featured high on Lonely Planets Best of European Destinations for 2017 who also rated it one of the world’s great unsung culinary destinations!